Most self-directed SMSF trustees need and want help with their investment portfolios, but don’t know who they can trust or where they can find help. 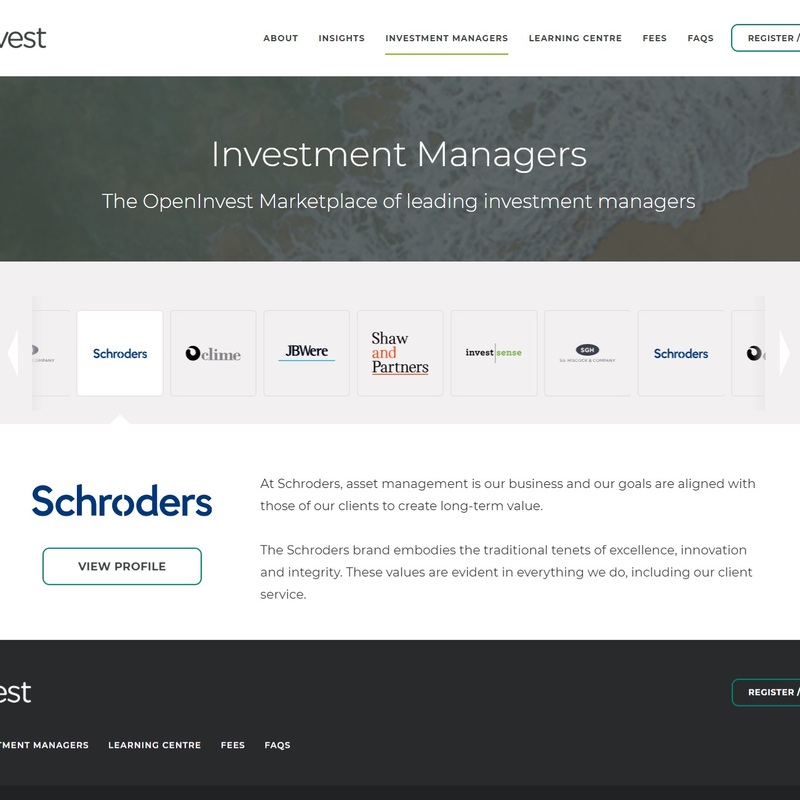 OpenInvest connects self-directed investors, including SMSF trustees, with reputable, well-resourced investment managers, through a user-friendly online marketplace. 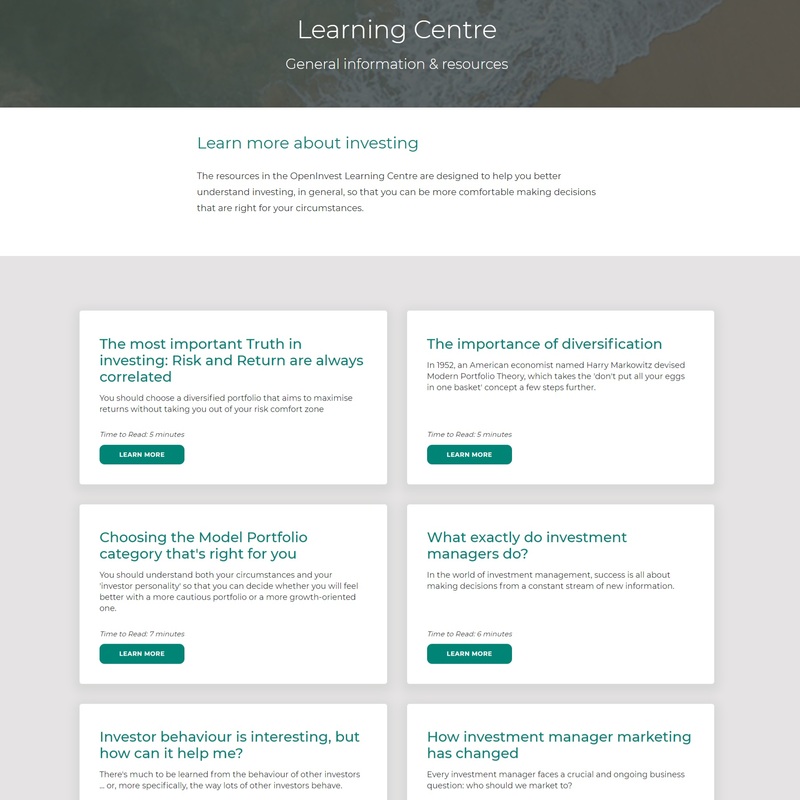 As well as providing the means for your clients to access, assess, and engage some of Australia’s leading investment management firms, OpenInvest offers a range of other resources to help them understand more about investing, stay informed, and remain in control of their investments. 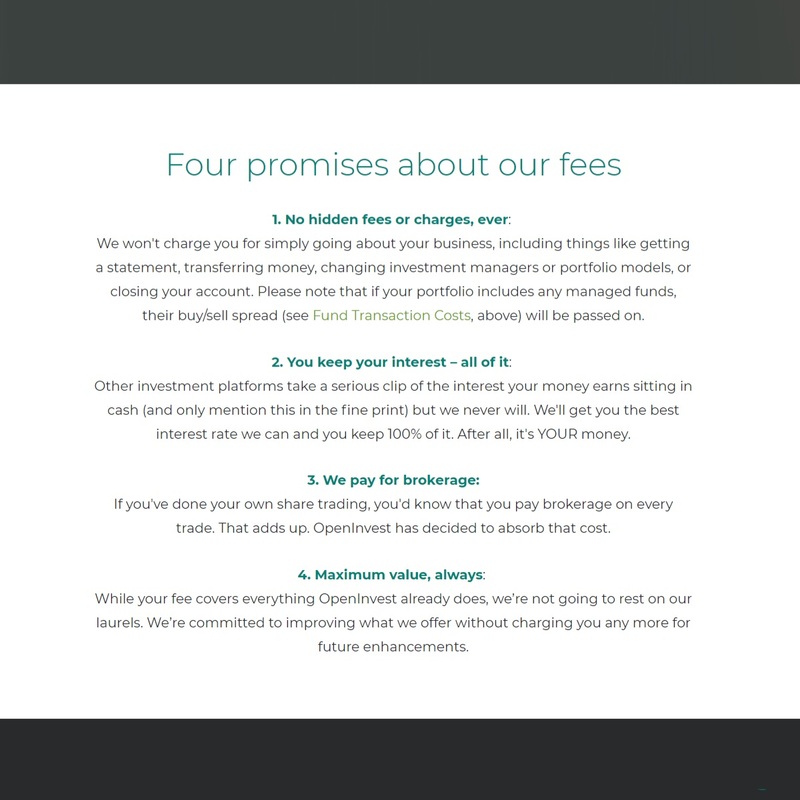 With a commitment to using plain language, being completely transparent, and having no conflicts of interest, OpenInvest provides self-directed investors with an unmatched level of service – both in terms of the management of their investments and the administration of their accounts – for a simple, clearly-outlined, low fee. And because OpenInvest is built on Class software, your SMSF client’s portfolio in OpenInvest integrates seamlessly with your Class Super portfolio. 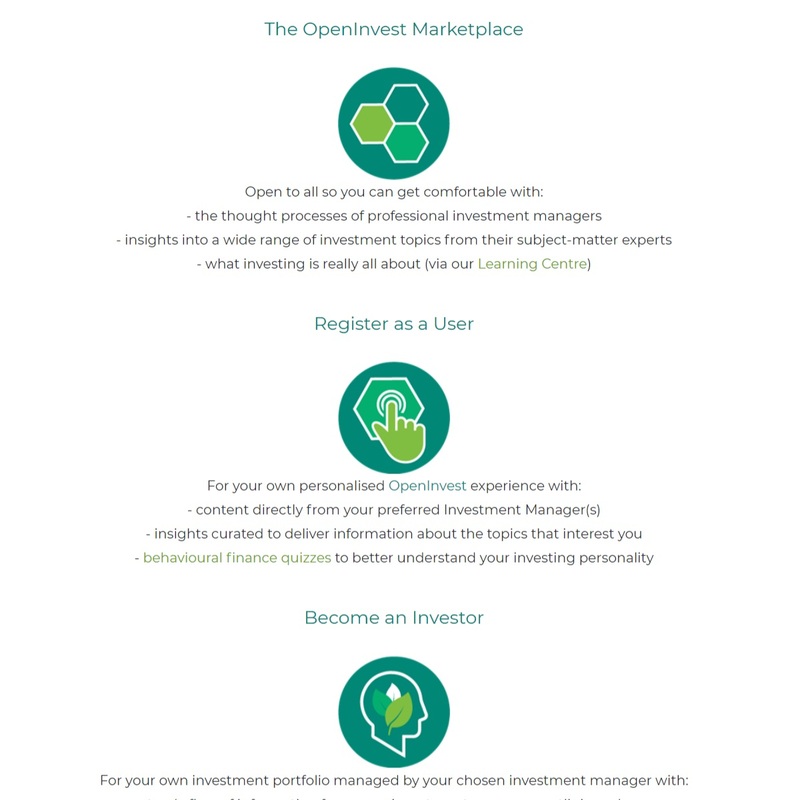 OpenInvest has been created by investors for investors, to meet a need most unadvised investors have: getting professional help in managing their portfolio. OpenInvest is the support structure behind your clients’ investment portfolios, offering information, choice, control, and transparency, and handling all of the administration (with no brokerage fees).